Leeds Rhinos have agreed a deal to sign Widnes academy players Sam Walters and Jarrod O'Connor for an undisclosed fee. Walters, 18, is an England academy international who was part of the side which won last winter's series against the touring Australian Schoolboys. O'Connor, 17, is the son of former Great Britain forward Terry O'Connor and was part of the under-19 squad. 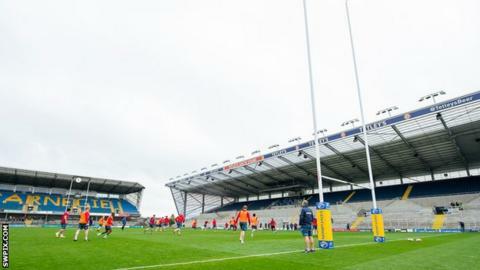 "We are always looking to strengthen our club," director of rugby Kevin Sinfield said. "Jarrod clearly comes with a fantastic heritage in the game whilst Sam gained plenty of plaudits for his performances with England." Widnes have been taken over by new owners but some players have been allowed to leave the club to cut costs.